Commemorative bricks are in place at Ladue Horton Watkins High School. On Nov. 11 the Ladue Education Foundation & Alumni Association (LEF) recognized donors who supported the renovation of Ladue Horton Watkins High School (LHWHS) with a purchase of commemorative bricks and/or naming rights, as well as members of the Rams Leadership Circle (donors who contributed $1,000 or more to the LEF during the 2017-18 fiscal year). The event was held at the Dr. Donna Jahnke Student Plaza and Sandweiss Stern Lobby of LHWHS. 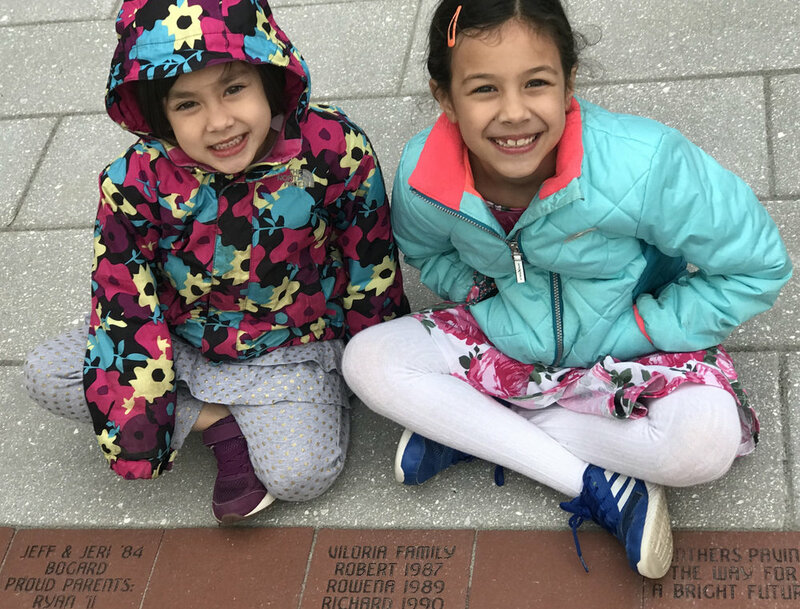 More than 200 attendees, consisting of district alumni, grandparents, parents, children and staff, were encouraged to view and photograph the newly engraved bricks and donor signage. Refreshments were provided, and guests enjoyed performances by the high school’s jazz combo, Lehde’s Men, and the award-winning female a cappella group, Viva Voce. For a complete list of Ram's Leadership Circle donors, visit our website. For a list of available naming opportunities, please visit our website.